did not locate a tombstone for Capt. Sharp Baldwin on Capt. Miller's Lot. in the Nashville and New Orleans trade for nearly thirty years. 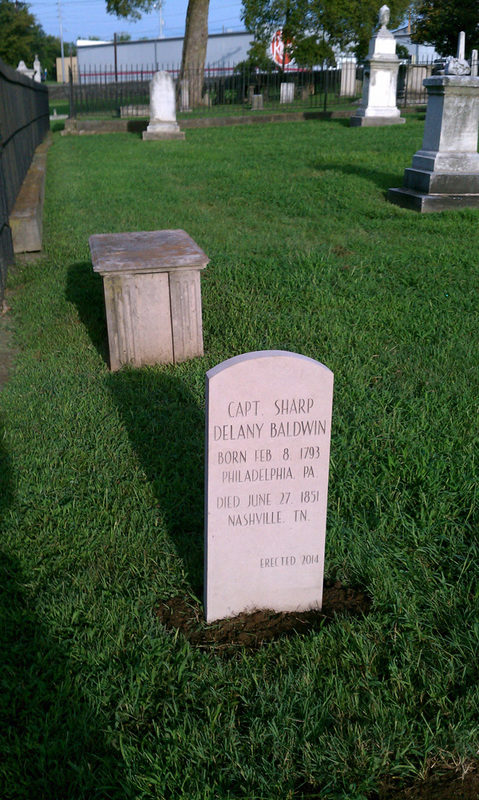 Note: In the death notices of Captain Sharp Baldwin he was listed as the owner of the steamboat America. Captain Baldwin died in the residence of his friend, Captain Jesse Johnson. Captain Sharp Delany Baldwin was born February 8, 1793, in Philadelphia, PA. He was named after his grandfather, Colonel Sharp Delany, a Revolutionary War officer and the first Customs Officer for the Port of Philadelphia. He was baptized at St. Peter’s Church in Philadelphia on January 4, 1799. Sharp’s father died while he was an infant and his mother died when he was seven years old. He was then raised by relatives until he reached majority. Sharp made his way to Cincinnati, Ohio, as a teenager and lived there until at least 1821. In 1818 Sharp was part owner of a business that specialized in resupplying riverboats on the Ohio River with fresh water. This is where he learned the river trade. 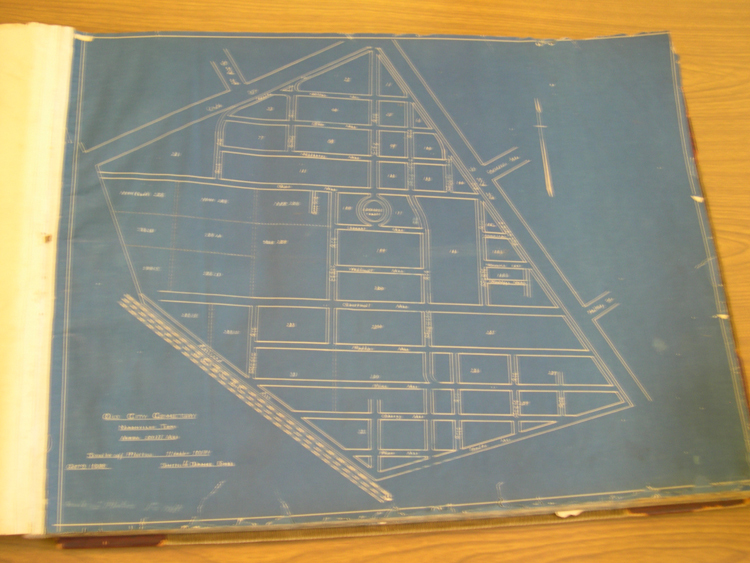 In the early 1820’s Sharp made his way Western Kentucky and settled near the Cumberland River town of Eddyville. On October 21, 1830, Sharp married Mary B. Prince of the prominent Prince family. Sharp and Mary had three children, Frances Mary born 1832 and James Roney born in 1835. A third child died in infancy. Sharp amassed moderate wealth during his life including a 188 acre farm and part ownership in the steamboat America. His wife died in 1843 and in 1850, with his children in boarding schools in Princeton, Kentucky, and Nashville, Sharp sold his farm and moved permanently to Nashville. Captain Baldwin worked in the river trade for nearly 30 years on the Cumberland, Ohio and Mississippi rivers, primarily transporting passengers between Nashville and New Orleans. He was well known and respected by river travelers. On Friday, June 27, 1851, Captain Baldwin died of Cholera at the home of his friend Captain Jesse Johnson. On June 28, 1851, he was buried in the Nashville City Cemetery on the lot of Captain Miller. Nashville City Cemetery Association and the Metro Historical Commission appreciate the interest of Scott Campbell in a Replacement Tombstone for Captain Sharp Delany Baldwin, his great great great grandfather.